Introduction: In the summer of 2017, John A. Drew, a Vietnam veteran, joined my tour to Poland, Slovakia, Austria, and the Czech Republic. While in Prague, a journalist from Novinky.cz, Alex Švamberk, conducted interviews with Mr. Drew about his wartime experience. The resulting article appeared on 23 December 2017, and within four days, the article had 122,739 individual visitors, and 3,854 people played video. The article appears at https://www.novinky.cz/zahranicni/svet/457636-jsi-vrah-deti-kriceli-doma-na-americkeho-pilota-ktery-pred-50-lety-ve-vietnamu-malem-zahynul.html. It includes photographs that Mr. Drew took in Vietnam. The translation below is from the Czech article. The original text appears at the bottom of the page. 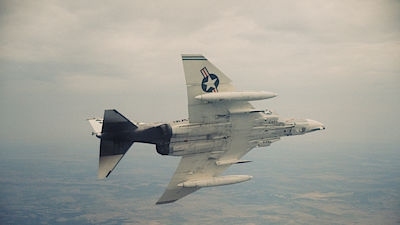 Fifty years ago, on December 23, 1967, a F-4B Phantom from the 122th Squadron of the US Marine Corps took off to attack the supply columns for the Vietcong, which was preparing an offensive at the time. Onto a steel bridge full of trucks, one of those who dropped the bombs was John Drew, whom an antiaircraft machine gun struck. 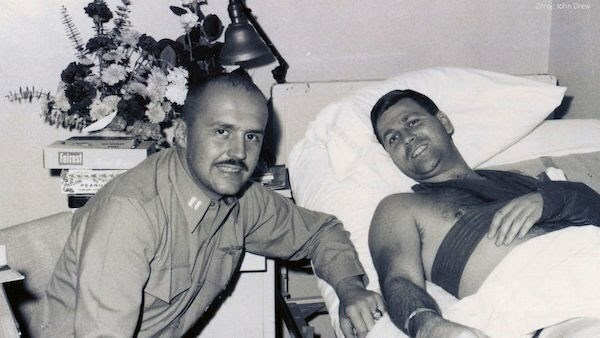 The injured pilot returned his damaged plane to the Da Nang base, but his deployment in Vietnam ended. This year, during a visit to Prague, the 78-year-old pilot recalled the events for Novinky.cz. Ah, and they could jump on their gun, and there he comes, and they look at the same area the other guy came, but I came round the other way, this way, right at ‘em. And there they were. Boom, boom, boom. It wasn’t my day. Do you know how many shells hit your plane, or? Ah, there were a few. I don’t really know. Ah, the one was enough. And, uh, as I said before, they put a hole in the side of the airplane, missed my arm, and . . .
How long was it from . . . ? It took me about . . . I was going pretty fast, actually, uh, not supersonic, as they say, because there was a hole in the side, but, um, just under 600 naughts, um, and it took us maybe 30 minutes, 40 minutes, which was a long time, um, particularly for the poor fellow in the back. He was rather worried whether or not I would, you know, be able to stay conscious and get back. And I, well, then I told him, I said, um, “Bill,” Bill Simoni, I said, “Bill, uh, if I stop cursing, you know, it’s time to get out.” I got back to Da Nang, yea, where I was based, the big air field. How long time did you recover from [your] wounds? And, ah, but then I went off to, ah, they medevaced me to Clark Air Force Base [for] more surgery. How did you get to Vietnam? He had a badge with a half wings, so we asked him what were the half wings. He told me to call him. He was in pilot training. For them, a private license was valid, but you had to sign up. And I said, “No, no, that means I have to go to Vietnam.” They replied, “We’ll pay you $15 a month.” That was big money in 1959-1960. At the dorm, I had $15 a month from the sports department. That would be a total of $30 a month. I never earned so much. I said OK. I did it for the money. I signed up. We all entered the military because of flying–to learn how to fly. We all got a pilot license. We had better training than civilian pilots, and when you earned your pension, you went to the airlines to make money and fly around the world. But, unfortunately, there’s such a junkyard called Vietnam, and you have to go there first . . .
What happened on that fateful flight? We descended to the bombing level, between 15,000 to 20,000 feet. It depended on the ordnance and the angle of the dive, and I had to fly below thirty degrees. The first kid, the Frenchman Jacques Naviaux, dropped down and flew along the ideal route down the river. He missed. I said, okay, I’m going into it. I heard, “Good hit, John.” I then climbed along the slope. And the Vietnamese boys put down their rice balls–it was around lunchtime–and they went ra-ta-tat. It wasn’t my day . . .
How many shots hit you? Only a few, but that one was enough. A 50 caliber shell made a hole in the left side on the bottom of the fuselage, shot through near the throttle (providing thrust) and into my shoulder, then it flew into my seat. It tore [my shoulder], so I couldn’t use it. I didn’t know that. It missed my arm and my head. If it had hit my arm, I would have died. It made a nice opening in the plane. I didn’t see through half of my cockpit cover. It was completely in pieces; it looked like hamburger mix. I wiped it with a glove. There was a hole between me and the guy behind, the radar operator, Bill Simon. Pieces from my shoulder went through the hole and hit him in the face. Fortunately, he had a helmet with a mask. He wiped it and shouted, “John, John, are you all right?” I didn’t answer him and just held the stick and increased thrust. I added thrust, and the plane kept slowing down, even though it was supposed to go faster. It probably hit the engine. I looked down at the engine thrust levers, and my hand wasn’t there. It was twisted behind me. I pulled my arm in front of me, but it was useless. It just was hanging. I looked at my shoulder. Horrible. Meat. Maybe I shouldn’t say it. I usually don’t talk about it. I added gas with my right hand and held the yoke with my knees. I was really angry about what had happened. I couldn’t believe it. I didn’t want to eject. It was full of Indians down there. How did you manage to return? As I added gas with my right hand, we rose to 20,000 feet to avoid antiaircraft fire. We couldn’t fly across North Vietnam because there were all those ground-to-air missiles. We had to return through Laos. There was a hole in the airplane. At 20,000 feet it was cold–it’s perhaps 40 degrees below zero there. I think it saved my life. The cold stopped the bleeding. We finally got to the sea. Bill Simoni had to call the Sea-Air Rescue (SAR), so a boat followed us. We saw how it followed us to see if we ejected. They asked me, “What do you want to do? Eject?” “No, there’s my arm. I’m landing this damn thing.” I landed with a long approach. I told Bill that if I do not answer him, then he should ask again, and if I still don’t answer, then he should eject. Bill could have ejected but stayed with me. He was a good guy. We landed, and where we stopped, a helicopter landed. I opened the cabin. Bill jumped out and unbuckled me. He helped me onto the steps. Two guys ran up and helped me onto the stretcher. Two minutes later, I already was in the field hospital in Da Nang. Four or five medics went after me with scissors and cut everything–my jump suit, inflatable vest, and boots. How did the healing progress? There were lots of operations. First, they had to stop the bleeding. 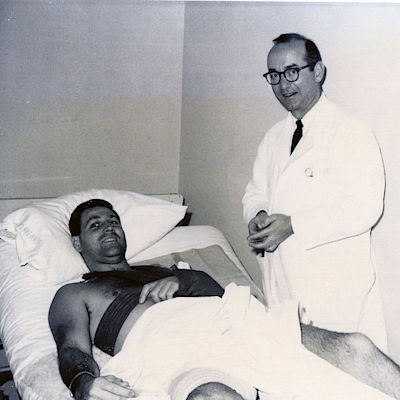 After my operation, the doctor at the Da Nang field hospital came to me and said, “I don’t know what it was, but we removed from your shoulder a lot of black balls, like small beans.” My mother gave me a rosary, and it hit the rosary and scattered the beads. How long did the convalescence last? About a year and a half. There were a lot of operations. The wound healed, and you return for another operation. Eventually, they put me back together; they connected the damn things. Did you return to flying? Yes, but I had to go through all the tests: floating underwater, long-distance swimming in the sea, physical fitness tests to prove that I can fly again. Because of Vietnam they needed pilots. They did not produce pilots fast enough, so I went back to pilot training. Insert: Newspaper article about the decoration of John Drew. Photo: John Drew Archive, Novinka. Marine Captain John A. Drew, Mission Hills resident, was presented the distinguished Flying Cross by Major General Lowell E. English, Commanding General, Marine Corps Recruit Depot, and the Honorable Frank E. Curran, Mayor of San Diego, during a parade and review at MCRD March 7. 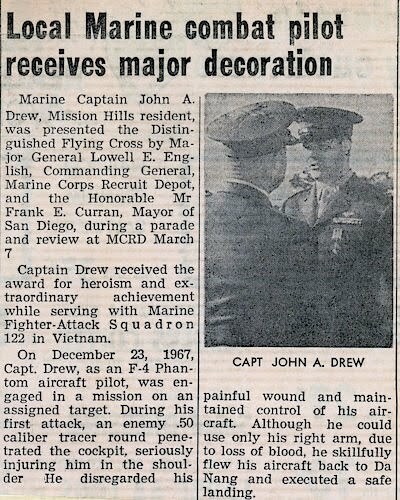 Captain Drew received the award for heroism and extraordinary achievement while serving with the Marine Fighter-attack Squadron 122 in Vietnam. On December 23, 1967, Capt. 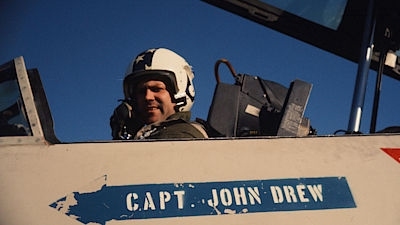 Drew, as an F-4 Phantom pilot, was engaged in a mission on an assigned target. During his first attack, an enemy .50 caliber tracer round penetrated the cockpit, seriously injuring him in the shoulder. He disregarded his painful wound and maintained control of his aircraft. Although he could use only his right arm, due to loss of blood, he skillfully flew his aircraft back to Da Nang and executed a safe landing. Capt. Drew is now a patient at U.S. Naval Hospital, San Diego and resides at 3952 Falcon St. Protests took place during the Vietnam War. Did you notice them? Yes, when I arrived in San Francisco at the hospital at Travis Air Base, they knew we were coming, so they stood there and screamed at me that I was the murderer of children. That doesn’t give you a good feeling. After the war, you moved from the United States to live in Sweden. Why? I did not want to stay in the US because of the hatred of people. When they knew that you were in the military, you are a criminal. So, I was glad that I left those damned people. I worked as an instructor for a British company in Saudi Arabia. How did you see the war in Vietnam? I think Commander John Verdi best described it as one dark rainy night in the jungle. One guy said, “We're here to defend freedom, mom’s pie, the flag, and America.” The commander said, “Shut up! We’re not here to defend the flag. We’re not here for anything like that. You boys came here because you want to see history firsthand. You are here because you love excitement. You are here because of the exhilaration of flying and defying death. Live and fly on, and no more talk of patriotism. That’s not what it is.” And he was right. And you were there for the excitement? When you get back to the base, you’re out of it. I knew that feeling of euphoria that today I escaped death and that I cheated death. It is better than marijuana but not as good as morphine. When you get into a plane, when the wheels peel off and you’re in the air, life changes forever, and you want to repeat that. But there are certain conditions you have to meet. You have to have a mind that is capable of adapting to all the information. You have to be a little smart, but what is most important, you have to have a romantic heart that is full of adventure. When you bombed, did you realize you were killing people? Yeah, we all did it, and we all thought about it. But mainly we Marines had to be damned sure we did not bomb our own boys. The Air Force did that often–bombed our own people–because they did not fly past them and because they did not fly low. There were smoke grenades, but it was not clear whether they were the right ones or fake. On the ground, there also was a controller, a Marine pilot, who said: “I marked our position with a red smoke grenade.” But among the bad guys on the other side, someone understood English, so they also lit a red smoke bomb. So, I had two reds. What to do? I have two reds. “So turn back. I’ll mark our boys with blue.” The blue appears and immediately afterward another blue. It’s funny. So, I got turquoise, but already I positively had identified them and finally released the bombs on the bad guys. The Air Force only flew, released their bombs, and flew away. John Drew (born 16 November 1939) fought in Vietnam at a time when the war was escalating and the Vietcong guerrillas undertook, with the support of North Vietnamese soldiers, ever increasing attacks on the territory of South Vietnam, culminating, in the beginning of 1968, with the encirclement of the Khe Sanh base and Tet Offensive. 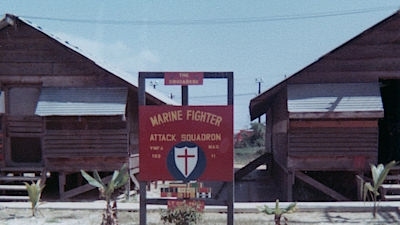 Already at the beginning of 1967, the Marine Corps had 21 of its 36 battalions, 14 of its 33 airplane squadrons, and half of its helicopters in Vietnam. 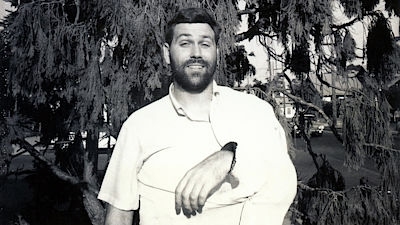 Drew, as a member of 122nd Squadron Crusaders, flew to Vietnam in September 1967. He participated in 13 missions, mostly close air support (CAS) of troops but also attacks on Vietcong supply columns. He also was involved in the Barrier Combat Air Patrol (BARCAP) fighter mission, offering cover to fighter pilots, but he did not take part in any air combat. The last mission he flew was during the winter monsoon, under difficult weather conditions, when he took off with zero visibility. 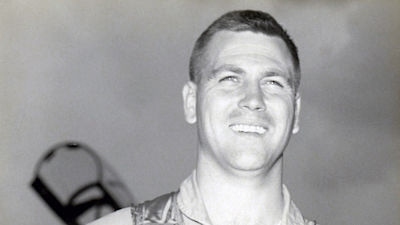 He was hit the day after his fellow soldier, Gary Fors, was shot down over Laos, was captured, and was killed during an attack on the Ho Chi Minh Trail. In March 1968, they honored John Drew with the Distinguished Flying Cross (DFC). 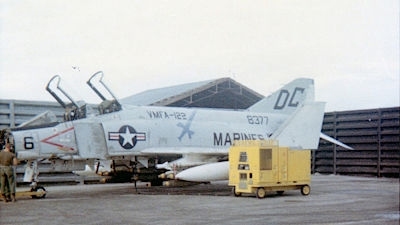 Drew trained in 1966 on the F-9F Cougar and then transferred to Phantoms with the 531st Marine Corps Gray Ghosts, which first flew Phantoms in 1965 in Vietnam. When he recovered, Drew flew the A-4 Skyhawk fighter in the 103rd Training Squadron of Marine Corps. After being discharged, he worked as an instructor in Saudi Arabia, and in Scotland, he flew for small airlines. John’s brother, Joseph, also fought in Vietnam. 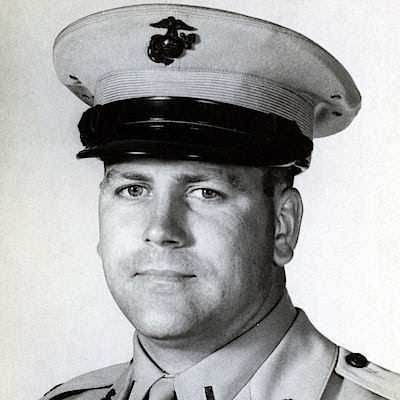 He died on December 27, 1966, in the fighting at Quang Nam. Před padesáti lety 23. prosince 1967 vzlétly F-4B Phantomy 122. perutě americké námořní pěchoty k útoku na kolony se zásobami pro Vietcong, který v té době připravoval ofenzivu. Na ocelový most plný nákladních aut shazoval bomby i John Drew, kterého ale zasáhl protiletadlový kulomet. 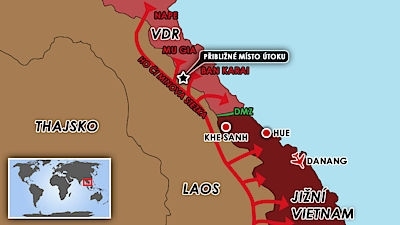 Zraněný s poškozeným strojem se dokázal ještě vrátit na základnu v Danangu, ale jeho nasazení ve Vietnamu tím skončilo. Letos při návštěvě Prahy 78letý pilot na tuto událost pro Novinky zavzpomínal. It took me about . . . I was going pretty fast, actually, uh, not supersonic, as they say, because there was a hole in the side, but, um, just under 600 naughts, um, and it took us maybe 30 minutes, 40 minutes, which was a long time, um, particularly for the poor fellow in the back. He was rather worried whether or not I would, you know, be able to stay conscious and get back. And I, well then I told him, I said, um, “Bill,” Bill Simoni, I said, “Bill, uh, if I stop cursing, you know, it’s time to get out.” I got back to Da Nang, yea, where I was based, the big air field. Jak jste se dostal do Vietnamu? Měl odznak s půlkou křídla, tak jsme se ho zeptal, co je to ta půlka křídla. Řekl mi, abych jim zavolal. Byl v pilotním výcviku. Platili soukromou licenci, ale musel jsi se zaregistrovat. A já na to: „Ne, to ne, to znamená, že budu muset jít do Vietnamu.” Oni otočili: „Zaplatíme ti patnáct dolarů za měsíc.” To byly tehdy v letech 1959, 1960 velké peníze. Měl jsem 15 dolarů měsíčně od sportovního oddělení na koleji. To by bylo celkem třicet dolarů měsíčně, nikdy jsem si tolik nevydělal. Řekl jsem OK. Udělal jsem to pro peníze, upsal jsem se jim. Jak probíhal ten osudový nálet? Sestoupili jsme do hladiny pro bombardování mezi 20 000 a 15 000 stopami. To záleželo na výzbroji a úhlu klesání střemhlavého letu, měl jsem letět pod třiceti stupni. První kluk, ten Francouz Jacques Naviaux klesl a letěl po ideální trase dolů k řece. Minul. Řekl jsem si, dobrá, jdu do toho. Slyšel jsem: „Dobrý zásah, Johne.” Stoupal jsem potom podél svahu. A ti vietnamští kluci odložili své rýžové koule, byla zrovna doba oběda, a udělali ratata. Nebyl to můj den . . .
Jen pár, ale ta jedna stačila. Střela ráže .50 udělala vlevo dole díru do trupu, proletěla u přípustí (tahu motoru), dál mým ramenem a vletěla do mého sedadla. Roztrhla ho, takže jsem ho nemohl použít. To jsem ale nevěděl. Minula mou paži i mou hlavu. Kdyby mě zasáhla do paže, přišel bych o život. V letadle nadělala pěknou paseku. Neviděl jsem přes půlku mého krytu kokpitu, byl plný té fašírky, vypadalo to jako směs na hamburger. Setřel jsem to rukavicí. Mezi mnou a klukem vzadu, radarovým operátorem Billem Simonim, byla díra. Kusy z mého ramena prošly tou dírou a zasáhly ho do obličeje. Naštěstí měl helmu se štítkem. Setřel to a křičel: „Johne, Johne, jsi v pořádku?” Neodpovídal jsem mu, jen jsem držel knipl a zvyšoval tah. Přidával jsem tah a letadlo pořád zpomalovalo, přitom mělo zrychlovat. Asi zasáhli motor. Podíval jsem se dolů na páky tahu motoru a moje ruka tam nebyla, byla ohnutá za mnou, vytáhl jsem paži před sebe, ale byla nepoužitelná, jenom visela. Podíval jsem se na rameno. Hrůza. Maso. Možná jsem to neměl říkat, obvykle o tomhle nemluvím. Pravou rukou jsem přidal plyn a knipl držel koleny. Měl jsem hrozný vztek, co se stalo. Nemohl jsem tomu uvěřit. Nechtěl jsem se vystřelit, byla tam země plná Indiánů. Jak jsem pravou rukou přidal plyn, vystoupali jsme do 20 000 stop kvůli protiletadlovému dělostřelectvu. Nemohli jsme letět napříč Severním Vietnamem, protože tam byly všechny ty rakety země vzduch. Museli jsme zpátky přes Laos. V letadle byla díra. Ve 20 000 stopách je zima, je tam možná 40 pod nulou. A myslím si, že to mi zachránilo život. Chlad zastavil krvácení. Nakonec jsme se dostali k moři. Bill Simoni musel zavolat pátrací leteckou záchrannou službu (SAR), takže nás sledovala loď, viděl jsem, jak nás sleduje, kdybychom se katapultovali. Ptali se mne: „Co chceš dělat? Vystřelit se?“ Ne, je tu ta moje paže. Já s touhle proklatou věcí přistanu. Přiletěl jsem s dlouhým přiblížením. A Billovi jsem řekl, že jestli mu nebudu odpovídat, tak se má ptát dál, a když nebudu stále odpovídat, tak se má katapultovat. Bill se mohl katapultovat, ale zůstal se mnou. Byl to dobrej kluk. Přistáli jsme. A tam, kde jsme zastavili, dosedla helikoptéra. Otevřel jsem kabinu. Bill vyskočil a odpoutal mne. Pomohl mi na schůdky. Nahoru přiběhli dva kluci, položili mě na nosítka. O dvě minuty později jsem byl už v polní nemocnici v Danangu. Čtyři nebo pět zdravotníků ke mně přišlo s nůžkami, všechno rozstříhali, moji kombinézu, nafukovací vestu, boty. Bylo to hodně operací. Napřed museli zastavit krvácení. Když jsem byl po operaci, přišel ke mně doktor v polní nemocnici v Danangu a řekl mi: „Nevím, co to bylo, vyndali jsme z ramena hodně černých kuliček, takových malých fazolek.“ Moje máma mi dala růženec a zasáhlo to růženec a rozprsklo to ty zrníčka. Asi rok a půl, bylo to hodně operací. Rána se zahojí a vrátíte se na další operaci. Nakonec mě dali dohromady, pospojovali ty proklaté věci. Vrátil jste se k létání? Ano, ale musel jsem projít všemi testy. Plaváním pod vodou, dálkovým plaváním v moři, testy fyzické zdatnosti, abych prokázal, že mohu zase létat. Kvůli Vietnamu potřebovali piloty, necvičili piloty dost rychle, tak jsem se vrátil k výcviku pilotů. Za vietnamské války se konaly protesty. Zaznamenal jste je? Ano, když jsem přijel do San Franciska na leteckou základnu Travis do nemocnice, věděli, že přijíždíme. A tak tam stáli a křičeli na mě, že jsem vrah dětí. To ve vás nevyvolá dobrý pocit. Po válce jste se odstěhoval ze Spojených států a žijete ve Švédsku. Proč? Nechtěl jsem zůstat v USA kvůli nenávisti lidí. Když vědí, že jste byl v armádě, jste zločinec. Tak jsem byl rád, že jsem odešel od toho proklatého lidstva, pracoval jsem jako instruktor pro britskou společnost v Saúdské Arábii. Jak jste vnímal válku ve Vietnamu? Myslím si, že nejlépe to popsal jednu tmavou deštivou noc v džungli velitel peruti John Verdi. Jeden kluk prohlásil: „Jsme tu, abychom bránili svobodu, mámin koláč, vlajku a Ameriku.“ Velitel na to řekl: „Zmlkni! Nejsme tu, abychom bránili vlajku, nejsme tu kvůli ničemu z toho. Vy kluci tady jste se sem dostali, protože chcete vidět historii z první ruky. Jste tady, protože máte rádi vzrušení, jste tu kvůli vyčerpávajícímu vzrušení z létaní a oklamávání smrti. Žijme a létejme dál. A žádné další řeči o patriotismu, o tom to není.“ A měl pravdu. I vy jste tam byl kvůli vzrušení? Při návratu na základnu jsi v rauši. Poznal jsem, že ten pocit euforie, že jsem dneska unikl smrti, že jsem obehrál smrt, je lepší než marihuana. I když ne tak dobrý jako morfium. Jak se člověk dostane do letadla, kola se odlepí a je ve vzduchu, život se navždy změní. A to si chceš zopakovat. Ale jsou tu určité požadavky, které musíš splnit. Musíš mít mozek, který je schopen přizpůsobit se všem těm informacím, musíš být trochu chytrý, ale co je nejdůležitější - musíš mít romantické srdce plné dobrodružství. Když jste bombardoval, uvědomoval jste si, že zabíjíte lidi? Jo, všichni jsme to dělali a všichni jsme na to mysleli. Ale hlavně my mariňáci jsme si museli být proklatě jisti, že neshazujeme bomby na naše kluky. Letectvo to dělalo hodně, shodilo to na vlastní lidi, protože si nad tím nepřeletěli, protože neslétli dolů. Byly tam kouřové granáty, ale nebylo jasné, zda jsou pravé nebo falešné. A na zemi byl taky návodčí, taky pilot námořní pěchoty, který řekl: „Vyznačil jsem naše pozice červenou dýmovnicí.“ Jenže u zlých kluků naproti někdo rozuměl anglicky, tak taky zapálili červenou dýmovnici. A tak jsem měl dvě červené. Co dělat. Mám dvě červené. „Tak se vrať, vyznačím naše kluky modrou.“ Objeví se modrá. A hned po ní druhá modrá - legrační. Tak jsem dostal tyrkysovou a to už jsem je pozitivně identifikoval a shodil náklad a zlí kluci skončili. Letectvo jen přiletělo, shodilo náklad a odletělo. John Drew (* 16. 11. 1939) bojoval ve Vietnamu v době, kdy válka vrcholila a partyzáni z Vietcongu podnikali za podpory vojáků Severního Vietnamu stále větší útoky na území Jižního Vietnamu, což vyvrcholilo na počátku roku 1968 obklíčením základny v Khe Sangu a ofenzívou Tet. Už na počátku roku 1967 měla ve Vietnamu americká námořní pěchota 21 ze svých 36 praporů a 14 ze svých 33 perutí letadel i polovinu svých vrtulníků. Drew jako příslušník 122. perutě Crusaders odletěl do Vietnamu v září 1967. Účastnil se třinácti misí, většinou přímé podpory vojsk (CAS), ale také útoků na zásobovací kolony Vietcongu. Absolvoval i stíhací mise BARCAP, kdy poskytoval krytí bitevním letounům, ale žádného leteckého souboje se nezúčastnil. Poslední mise létal v době zimních monzunů za obtížných povětrnostních podmínek, kdy startoval za nulové viditelnosti. Zasažen byl den poté, co byl při útoku na Ho Či Minovu stezku nad Laosem sestřelen jeho spolubojovník Gary Fors, který byl zajat a zabit. V březnu 1968 vyznamenali Johna Drewa Záslužným leteckým křížem (DFC). Na phantomy se Drew přeškolil v roce 1966 z letadel F-9F Cougar u 531. perutě námořní pěchoty Gray Ghosts, která jako vůbec první létala s tímto typem stroje ve Vietnamu už v roce 1965. Když se vyléčil, létal Drew na bitevnících A-4 Skyhawk v 103. výcvikové perutě námořní pěchoty. Po propuštění ze služby působil jako instruktor v Saúdské Arábii a ve Skotsku létal u malých aerolinek. Ve Vietnamu bojoval jako příslušník námořní pěchoty i Johnův bratr Joseph, který padl 27. prosince 1966 v bojích u Quang Namu.